Is the company a member of the Clean Energy Council? YES. 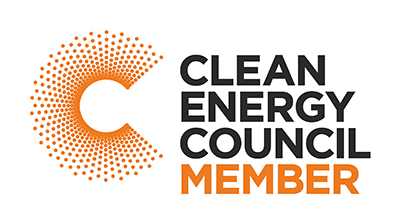 The Clean Energy Council (CEC) represents Australia’s clean energy sector. Green Solar Solutions is a CEC member and our installers are CEC accredited. CEC accreditation ensures your solar system is designed and installed by experts who meet the clean energy industry, which means you’re in safe and very professional hands. Is the company using CEC accredited designers and installers? YES. All of Green Solar Solutions design engineers and installers are CEC accredited and registered electricians to ensure you get exceptional and professional service. Our engineers have many years’ experience working with residential and commercial solar installations. Does the company have an established track record and a good reputation? YES. This is important if you want excellent service and good quality products. Green Solar Solutions has successfully designed and installed hundreds of solar systems throughout NSW. But don’t just take our word for it, read some testimonials. Do the company’s solar panels, inverters and mounting brackets meet Australian standards? Does the company offer any warranty’s on solar products? YES. Green Solar Solutions only use high quality solar products which hold quality warranties because we know that the best quality products, installation and service is important in assuring we offer all our customers the most durable and efficient solar solutions. All our Solar panels hold a 25 year performance warranty (80% efficiency after 25 years and 90% efficiency after 10 years) and most come with a 10 year manufacturer’s product warranty. Hold 5 year manufacturer’s warranty with an optional 5 years extended warranty. Our CEC Accredited Installers offer a 5 year installation warranty on all their workmanship. In the unlikely event that any part of your solar system should fail, you don’t have to worry about contacting an electrician or the manufacturer, Green Solar Solutions will look after the lot, from start to finish! What does the company’s solar system produce in kilowatt-hours of electricity every year? At Green Solar Solutions, we chose our solar power systems for their quality and power output over their lifetime. Based on research we provide you with a reliable estimate of how much power your system will create throughout its lifetime. Maximum power depends on roof angle, orientation, shading, weather conditions and time of year. We can work all this out for you and design your system so it produces the most power possible. What are the installation timeframes? At Green Solar Solutions we are flexible with you and arrange a mutually convenient time for installation to take place. You will be enjoying your FREE energy from the sun sooner because in most instances we install within 2 to 4 weeks of taking your order. Our customers can relax and enjoy an easy solar installation from start to finish, because at Green Solar Solutions we look after all of the paperwork for you & all application forms on your behalf.